Apparently I was not alone. 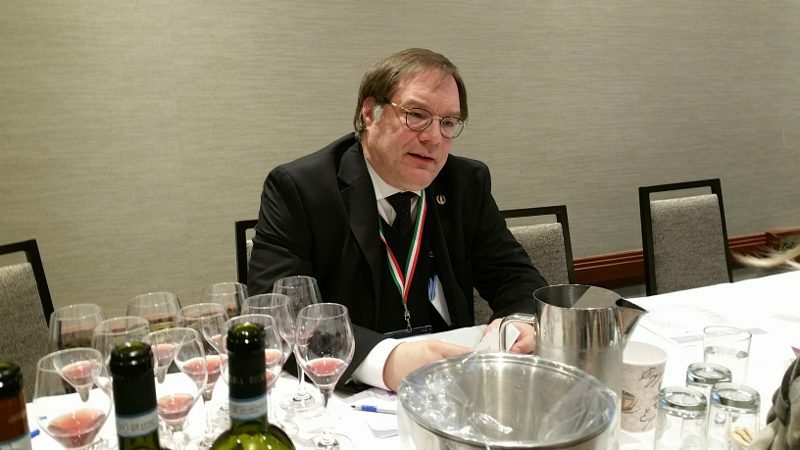 The seminar was led by Ian D’Agata, Vinitaly International Academy’s scientific director. As he began the seminar, he looked out at the room of only 20 people. There were empty seats in the room but that is not what he saw. 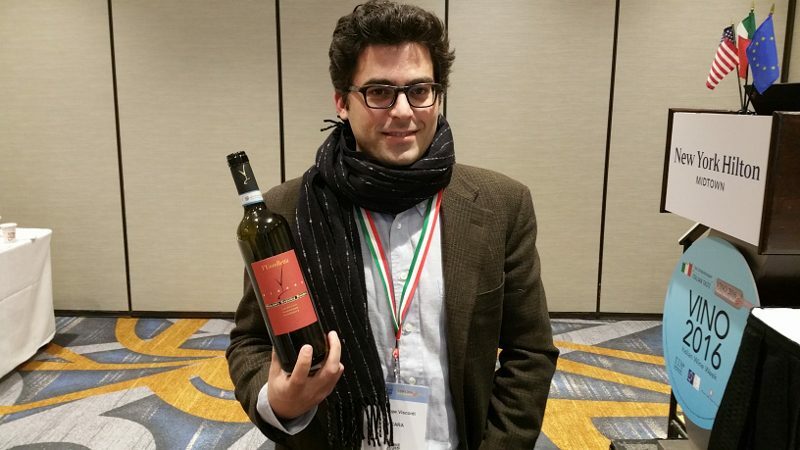 The fact that 20 people were interested in this very under-rated wine was what D’Agata saw was a milestone for this little grape. We all laughed. According to D’Agata, who has written the definitive book on Italian grapes, Native Wine Grapes of Italy, Italy has 548 cultivars. There were 544 when he wrote his book and four new ones have been identified since. He estimates that there are another 500-plus varieties waiting to be identified. Italy is a land with a huge diversity of terroirs, endless habitats and a variety of situations for grapes. Grignolino is one of the 548 indigenous grapes of Italy. Grignolino used to be a very important and favorite grape in the Langhe, filling a niche in the 1700s for the desire for lighter wine. 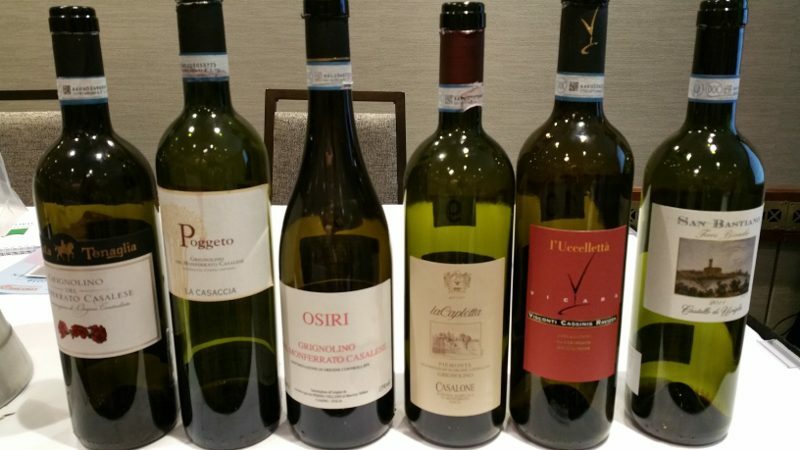 As people wanted bigger, darker wines, this wine, as D’Agata explained, “got slammed.” Grignolino is a grape that produces a wine that has high acids and high tannins, and is not a dark, black wine. None of these points are good selling points, and for years the thought was why plant a plot to grignolino when you can plant it to nebbiolo. Where there were once 10,000-12,000 hectoliters of grignolino in Piedmont, today there are only 8,000. But last year, a new association was created. 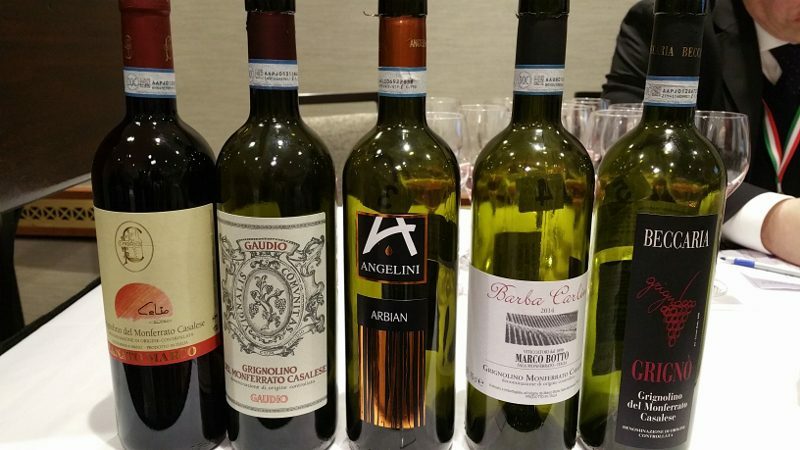 With 22 producers of grignolino as members, they are intent on protecting and promoting the grape. Grignolino is one of the prettiest and lightest red wines in the world. It is so light that it almost looks like a rose but is not. The name comes from the word grignole, which means “many pips.” In fact, the grape has four to seven pips (seeds), which is more than most wine grapes, which have only two. The higher quantity of pips means there is less room for juice in the grape and contributes to the bitter tannins in the wine. Grignolino is a thin-skinned grape and is a low-yielding variety. It is a hard grape to grow and to vinify, and maturation is uneven on the stem. It is a grape that requires a lot of work. The berries, which ripen at the end of September or early October, are pink-hued and form a cylindrical bunch. Grignolino is typically fermented in stainless steel and results in a wine with notes of rose hips, white pepper, geraniums and sour cherries. And it is a wine that pairs well with dishes like salami and veal tonnato. Grignolino has two DOCs. One is Asti where the soils are sandy, resulting in wine with floral notes that is lighter in color and body. The other is Monferrato Casalese where there are loam clay soils and chunks of limestone, producing a wine with less perfume and more structure and spice. This little estate has been producing grignolino since the 1950s and the 2014 is clean and fresh with geranium notes and lots of acidity and tartness on the finish. Considered one of the most famous producers of grignolino, this wine is a little bigger with aromas of rose petals and cranberries and finishes with a lemony acidity. The wine is a paragon on balance and typicity with a wine that has notes of fennel and black pepper and a floral lift. Located on an UNESCO World Heritage Site, this old estate produces a clean, fresh grignolino with great salinity on the finish. 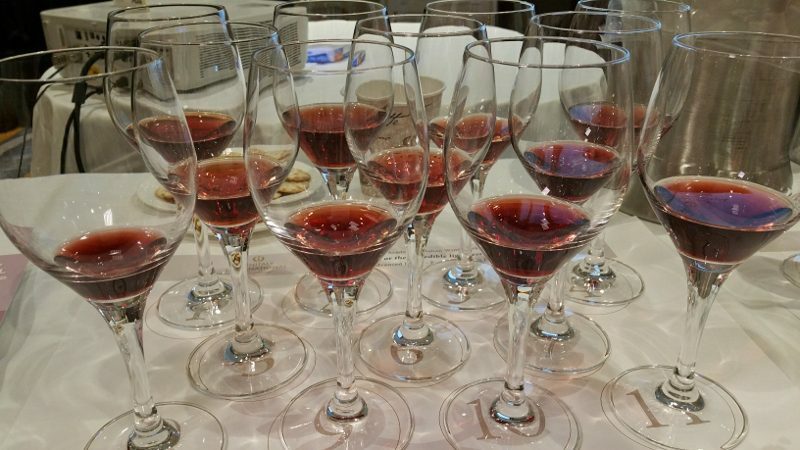 Founded in 1972, this wine has strawberry and sour candy notes. This vineyard is located at the highest altitude in the area, resulting in high acidity and a hint of herbaciousness. A certified organic winery, the wine is well-balanced between acidity, tannins and sweetness. Coming from a fourth-generation wine family, this wine spends a little time in oak, which adds a sweetness and slight herbaciousness. Founded in 1734, the wine estate is in the town of Lu in Monferrato, the shortest-name town in Italy. This wine is also oaked resulting in a wine with dominant vanilla notes. Started in 1992, the name of the winery is an acronym from the names of the three owners. This wine has picked up quinine notes from the barrel in which it is aged. This winery is on its fifth generation and counting. The wine has a pungent floral note and great acidity. It spends time in big oak barrels, which impart less influence on the wine. Grignolino is a wine that can age rather well with the fruit notes not fading after eight or 10 years. So, whether you have a young grignolino or an older one, just try it. Enjoy it. Drink it. Ready the original story in the Napa Valley Register. 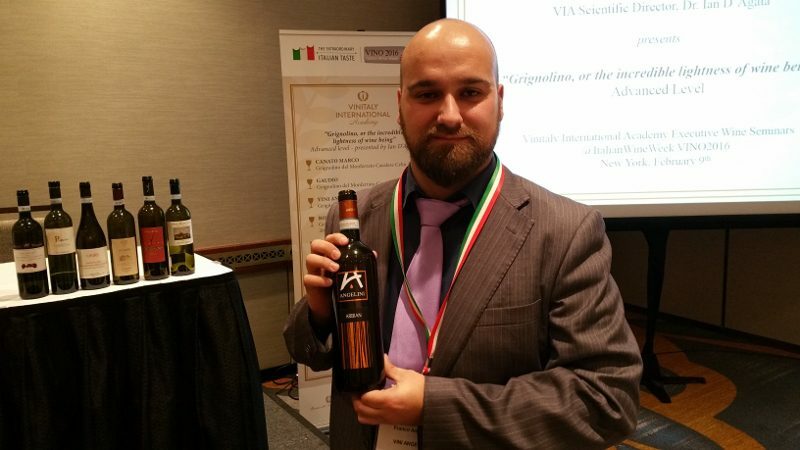 This entry was posted in Wine and tagged Franco Angelini, Giuseppe Visconti, Grignolino, Ian D'Agata, Italian Wine, Napa Valley Register, red wine, Vicara Cassinis Ravizza, Vini Angelini, Vino 2016, Wine by Allison Levine. I hope to find a grignolino I can grin about someday then! I like to think that wines age along with us without our fruit notes fading after eight to ten years. I learned something in this astute post. Thanks for the lesson.